BEIJING — Global stock markets fell Tuesday after U.S. President Donald Trump escalated a dispute with China over technology policy by threatening a tariff hike on an additional $200 billion of Chinese goods. KEEPING SCORE: Germany's DAX was down a sharp 1.3 percent to 12,673 and France's CAC 40 fell 1.1 percent to 5,394. 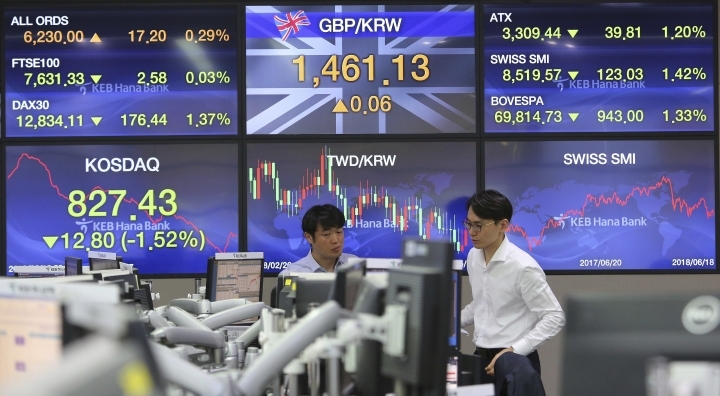 London's FTSE 100 lost 0.4 percent to 7,598. Wall Street looked poised for heavy losses, with the future for the Dow Jones industrial average off 1.3 percent and that for the Standard & Poor's 500 index down 1.1 percent. 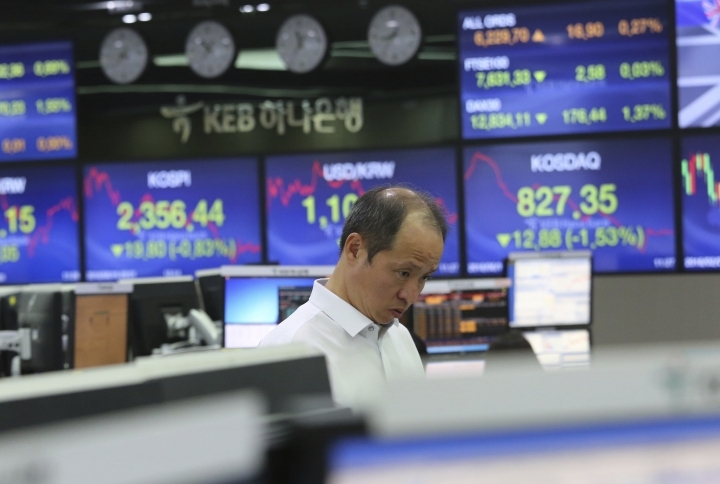 ASIA'S DAY: The losses were even heavier in Asia, where the Shanghai Composite Index fell 3.8 percent to 2,907.82 and Hong Kong's Hang Seng lost 2.8 percent to 29,468.15. 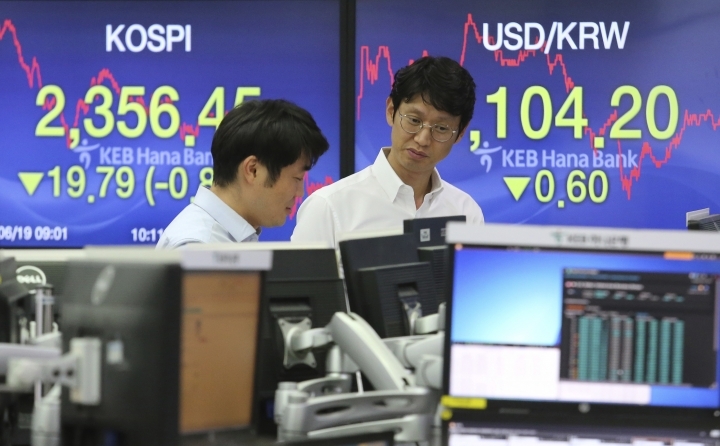 Tokyo's Nikkei 225 retreated 1.8 percent to 22,278.48 and Seoul's Kospi gave up 1.5 percent to 2,340.11. India's Sensex shed 0.6 percent to 35,331.28 and Sydney's S&P-ASX 200 declined 0.6 percent to 6,102.10. ANALYST'S TAKE: "President Donald Trump's unwillingness to back down became apparent this morning, once again sinking markets," Jingyi Pan of IG said in a report. Pan said market attention turned to China for "signs of further retaliation." ENERGY: Benchmark U.S. crude lost 88 cents to $64.97 per barrel in electronic trading on the New York Mercantile Exchange. The contract rose 79 cents on Monday to $65.85. Brent crude, used to price international oils, fell 47 cents to $74.87 per barrel in London. The contract rose $1.90 the previous session to $75.34. CURRENCY: The dollar declined to 109.75 yen from Monday's 110.54 yen. The euro edged down to $1.1552 from $1.1623.